Houston-based Gene By Gene, Ltd., a genomics and genetics testing company, has announced the inking a new agreement with the University of Texas MD Anderson Cancer Center to become one of the Center’s affiliated clinical laboratories. Terms of the agreement include that scientists at Gene By Gene’s Genomic Research Center will provide the clinical phase instruction, training and supervision required for students in the MD Anderson’s Molecular Genetic Technology Program, one of the eight undergraduate programs offered at MD Anderson’s School of Health Professions. Privately-held Gene by Gene, founded in April of 2000, was the first company in the world to develop DNA testing for ancestry and genealogical purposes as a commercial application. Prior to the company’s initiative, these tests were only available for academic and research purposes. Because of this innovation, the National Geographic Society and its partner, IBM, selected Gene by Gene to provide testing and manage all public participation in the Genographic Project. Initially, the Arizona Research Labs at The University of Arizona performed all testing, but in 2006, Gene by Gene established a cutting edge Genomics Research Center at its Houston, Texas, headquarters which currently performs R&D and processes over 200 types of DNA tests for its customers. Gene by Gene claims to be the largest processor of Full Mitochondria Sequences in the world and the largest submitter of those sequences to the NCBI’s Genbank, as well as top discoverer of Y-chromosome Single Nucleotide Polymorphisms (SNPs). NA Traits operates a state of the art laboratory that specializes in DNA testing to identify genetic disorders and susceptibility to inherited diseases and other characteristics. The company’s DNA Traits unit offers an extensive list of genetic tests, and can perform genotyping, exome tests or other sequencing, contact DNA Traits today and discover your new partner for genetic testing. 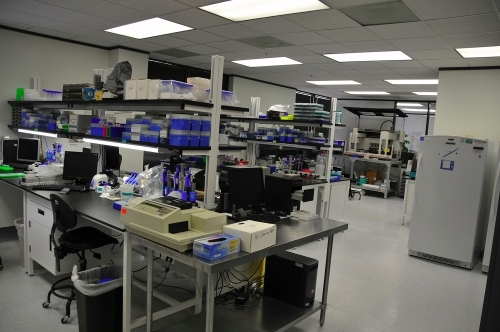 Gene By Gene’s state-of-the-art Genomics Research Center is a CLIA registered lab. The extensively automated lab and efficient processes, allow the company to provide reliable tests at reasonable costs. During the company’s 12 years of operations it has processed more than 5 million discrete DNA tests from more than 700,000 individuals and organizations globally. The facility is now one of only 36 laboratories in the United States, including the Yale University School of Medicine and the Baylor College of Medicine, to achieve this prestigious affiliation. Today, Gene by Gene is the largest processor of Full Mitochondria Sequences in the world and the largest submitter of those sequences to the NCBI’s Genbank, as well as providing reliable DNA testing to a wide range of consumer and institutional customers through its four divisions focusing on ancestry, health, research and paternity. IT provides DNA testing through its Family Tree DNA division, which pioneered the concept of direct-to-consumer testing in the field of genetic genealogy more than a decade ago. Additionally, according to the the company. it is the top discoverer of Y-chromosome Single Nucleotide Polymorphisms (SNPs). 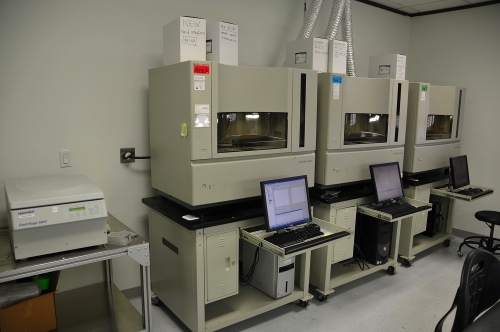 During our 12 years of operations, we have processed over 5 million discrete tests for over 700,000 individuals. Gene by Gene’s DNA DTC Research Use Only (RUO) division serves both direct-to-consumer and institutional clients worldwide, and offers AABB certified relationship tests through its paternity testing division, DNA Findings.